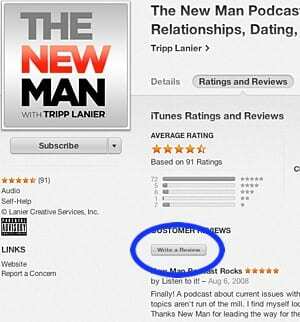 Once iTunes is open and you’re on The New Man Podcast page, click the “Ratings and Reviews” tab. 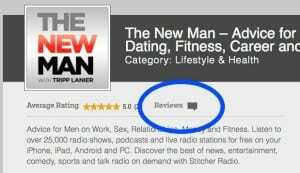 Click the “Write a Review” button and write a sentence or two about what you enjoy about the podcast, your favorite episodes, and whatever you would tell a friend that was considering a listen. 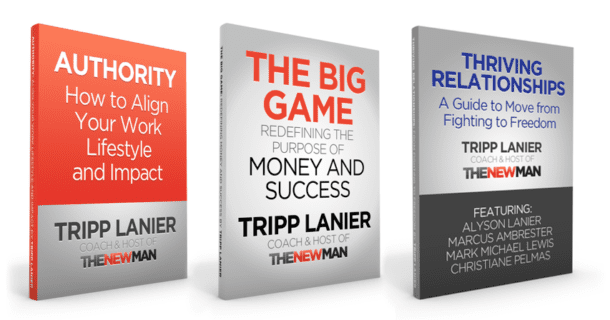 Follow these three simply steps and you’ll be helping another guy like you gain all of the benefits that come from listening to The New Man. Click here to go to The New Man page on Stitcher.